Kuwait: Pigeons have been used as messengers in wars and for peace as well since centuries, and recently there have been instances of the birds being captured by security forces in India while flying across the border from Pakistan for carrying messages potentially dangerous for national security. But now it seems that after employing various tactics to traffic contraband substances, elements dealing in narcotics have found use for pigeons. 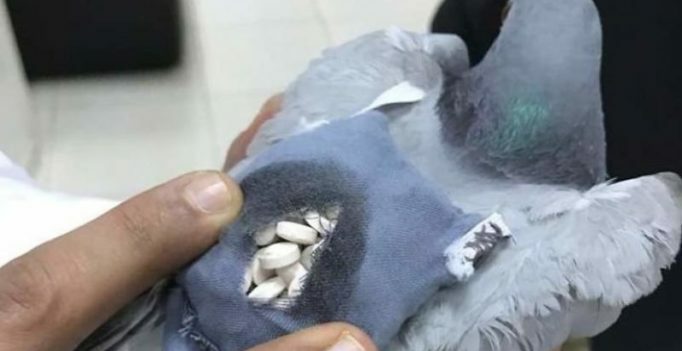 Customs authorities in Kuwait exposed a shocking new way of drug trafficking when they caught a pigeon smuggling 178 ecstasy pills wrapped around it. Reports suggest that the ability of pigeons to fly 150 km at a stretch and carry 10 percent of their body weight has led to them being increasingly used for smuggling drugs across borders. After swallowing drugs and hiding them in almost everything from food items to sculptures, this seems to be the latest ploy by traffickers.